D’Ann was born in Texas, but raised in Oklahoma. Since she was a child, she loved going to the dentist. 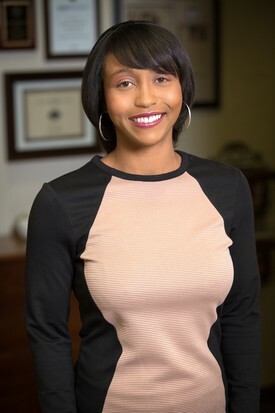 After graduating from Putnam City, and completing undergraduate studies at OSU and Central State, she received her Bachelor of Science in Dental Hygiene from OU. D'Ann looks forward to visiting with all the patients, some whom she has treated for over twenty years. She ensures a friendly family atmosphere by treating all patients with respect and compassion. D'Ann is married with two daughters of her own and two more daughters by marriage. She enjoys spending time with her family, but especially her grandkids. Kim was born and raised in Elk City, Oklahoma. She became a dental assistant because she felt the need to service other people through the medical profession. Kim graduated from Platt College with honors for Dental Assisting and received the Outstanding Leadership Award. 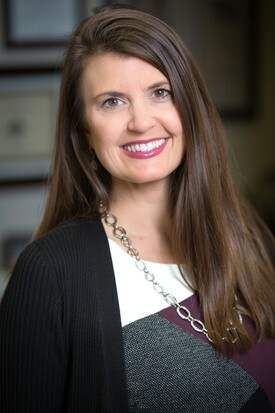 At Dr. Beasley's office, she enjoys the relaxing environment with patients and coworkers. 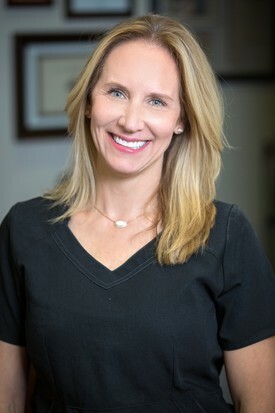 Kim works hard to go the extra mile and provide thorough and friendly treatment to patients. She is married with three kids, whom she enjoys relaxing and spending time with. Patti is a native Oklahoman. When she was younger, she pretended to be a dentist with her sister. 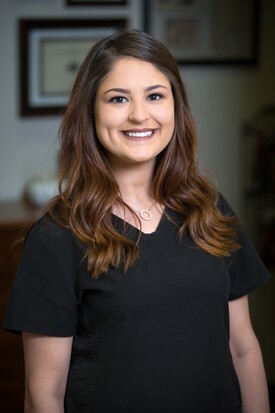 After graduating with a Bachelor of Science in Dental Hygiene from OU, she and her sister had fulfilled their childhood hopes of becoming Registered Dental Hygienists. Patti aims to build trust with patients by exceeding their expectations. She has three wonderful daughters. Patti enjoys working out, running, and reading. She strives to learn something new every day. Megan is from Oklahoma City and graduated from Putnam City North High School. She began her dental career by training in the dental assistant program at ATI Tech. She has always had an interest in healthcare because she likes the opportunity to help others. At the office, she helps create a friendly and relaxing atmosphere. Megan wants to go beyond what is expected because she likes helping put smiles back on people’s faces. Outside of the office, she loves to shop and enjoys spending time with her family. Megan is always kept busy with her son, who loves to read and make messes. Tiffany was raised in Oklahoma and is studying Dental Hygiene. She loves that every mouth is different and seeing the variety that is experienced each day. She believes it is important to put the patient's care and concerns first, treating them more than just a patient. 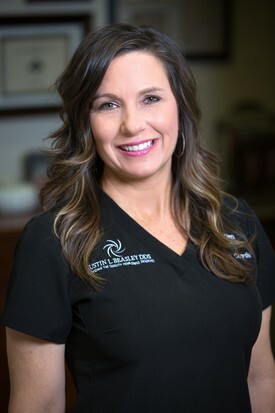 Tiffany feels our office is caring, honest and knowledgeable, and treats patients like family. She has an older brother and sister and enjoys reading and traveling. Lindsay was born and raised in Oklahoma City. She loves helping people feel comfortable when scheduling treatment needed to increase their quality of life. 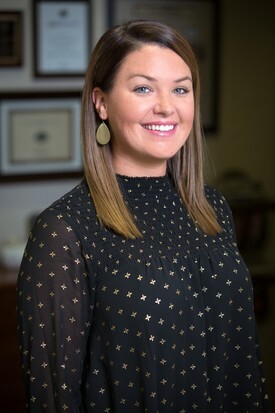 Lindsay enjoys getting to know each person on a personal level and that Dr. Beasley's office truly cares about each patient. She is married and has a daughter, two sons and two dogs. Lindsay loves to travel, read, go to the movies with her family, cook and watch her kids play sports. As doctor Beasley's wife, Kerri is Justin's #1 fan. 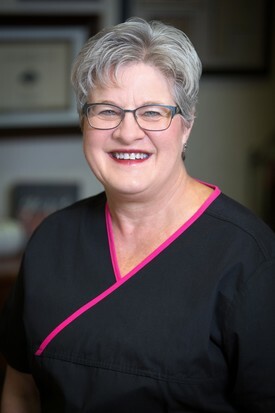 She loves that he is so conscientious and attentive to patients needs, all while keeping them relaxed and comfortable by his laid back manner and sense of humor. Together, they are committed to the highest level of care and the best customer service one can find. Kerri and Justin have three beautiful daughters and a labradoodle that keep them busy. In her free time, she enjoys bible study and activities in their church, shopping, spending time with their girls and attending all their dance and sports events.